15 Creative and Modern Furniture Designs for Tech Savvy. 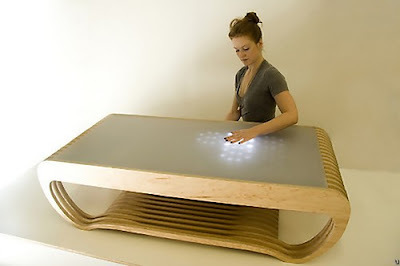 Collection of 'Creative and Modern Furniture Designs for Tech Savvy' from around the globe. 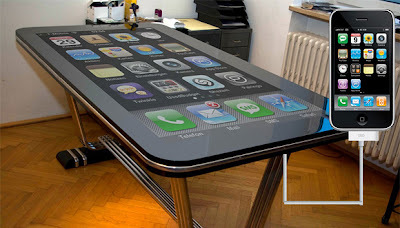 58-Inch Multi-Touch iPhone Desk: The 58-inch multi-touch iPhone table is designed to be a 58-inch working iPhone; it accepts iPhone 4 connections via a 30-pin dock connector, and the table becomes your iPhone. 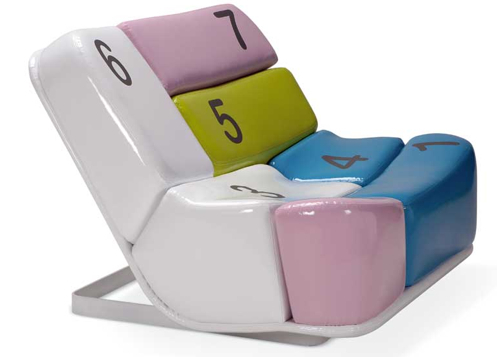 Keyboard Numbers Chair: This colorful chair is said to be pretty comfortable and looks like it is inspired by a numerical keypad. 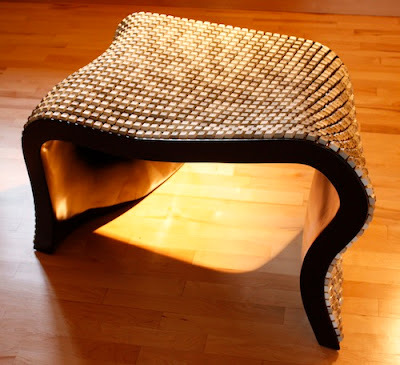 Computer Keyboard Chair: Called "Text-ile"; creation of designers Dante Bonuccelli and Lamm, its made from 40 laptop keyboards. The Wolfgang Keyboard Bench: The Wolfgang keyboard bench from designer Nolan Herbut is made from around two thousand keyboard keys. 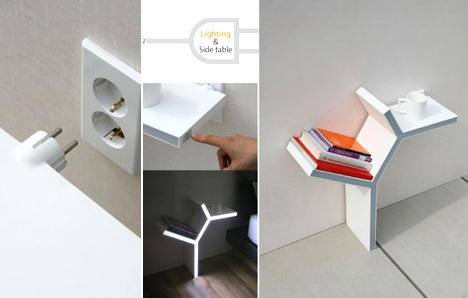 Plug-in Side Table: It functions as a side table or a nightstand and doubles up as a light when you plug it in to the wall. 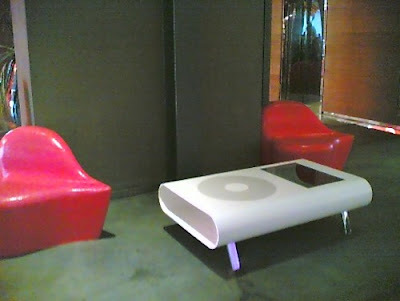 iPod Coffee Table: Creative table seen in the lobby of Milan's Nhow design hotel by Nicole Martinelli. 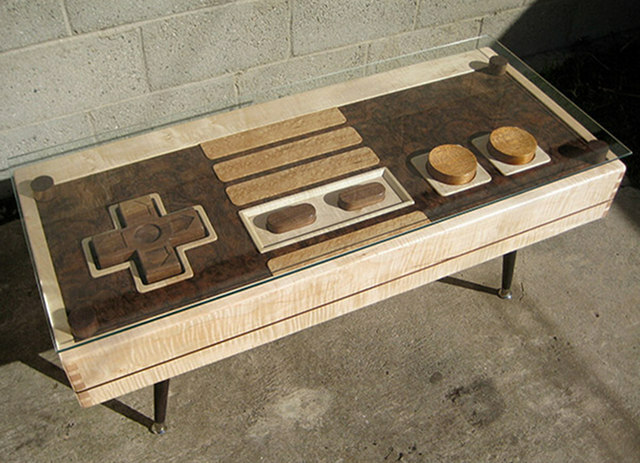 Wooden NES Controller Coffee Table: Creation of Charles Lushear, this coffee table resembles a NES controller; and what more its functional too. 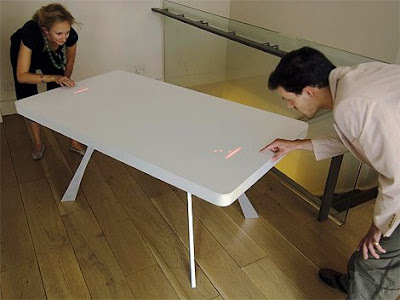 Pong Table: It's a part of MoMA's Design & the Elastic Mind Exhibit, designed by Moritz Waldemeyer. iPhone Coffee Table: Tuan Nguyen, Ken and their associates created this cool iPhone coffee table. 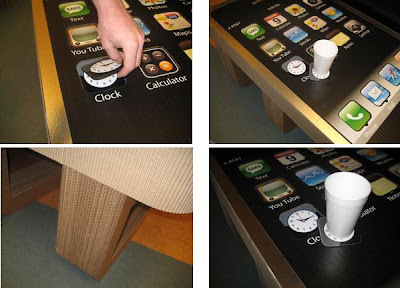 ROSIE Coffee Table: It features an Apple OS-X and an Intel processor and 500 GB of internal storage. 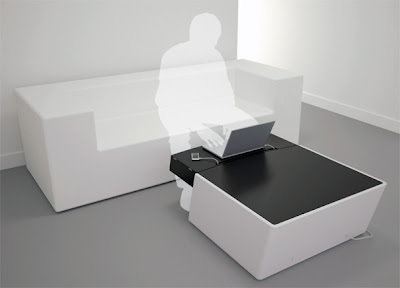 Touch-Sensitive Coffee Table: "This table can "sense" when objects are on (or near) it and light itself accordingly." 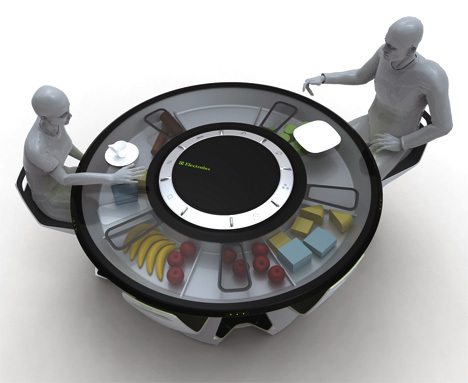 Electrolux Futuristic Dining Table: Designed by Petr Kubik, this circular five-seater table comes with retractable chairs. A part of the table is used to refrigerate food, storage bins, while the second part of the fridge is integrated into the center of the table to chill bottles. The appliances integrated are mini-dishwasher, toaster, coffee machine, kettle, a freezer, cutlery holder and more. The black glass top becomes transparent at the touch of a button allowing a complete view of the fridge contents below it. 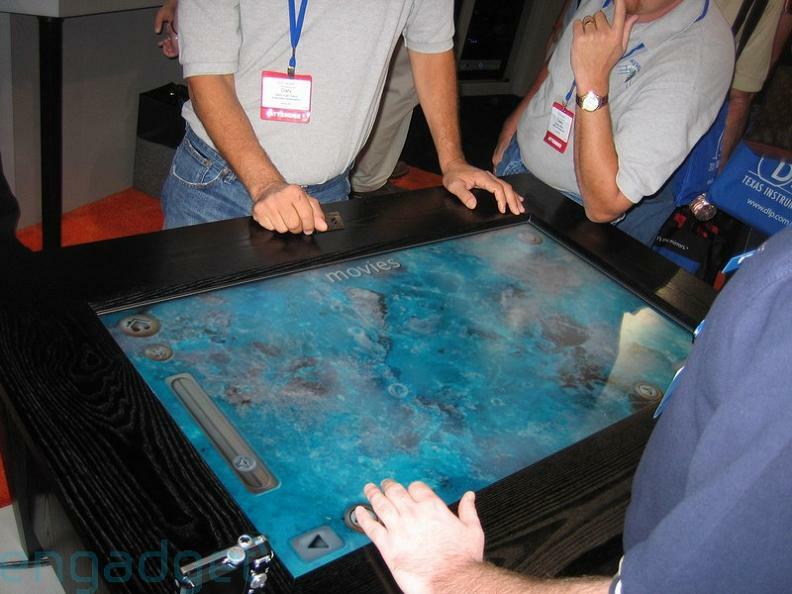 The top layer of the table is a touch display screen that allows access to the Internet. Assistant Digital Dining Table: Designed by Sang Hoon Lee, this device introduces the functions of a refrigerator and a warmer to the dining table. It allows optimal temperature programming for foods so that you can have a hotmeal whenever you want and the dining table even has a TV installed in the middle. 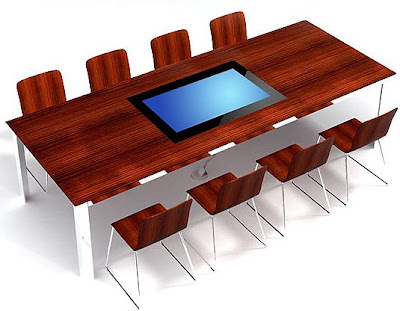 Friendlyway Imagine 32: The Friendlyway Imagine 32 is a digital table that comes with integrated 32'' TFT flat-screen display; touch screen and a compact high-performance computer incorporated into the dinner table. 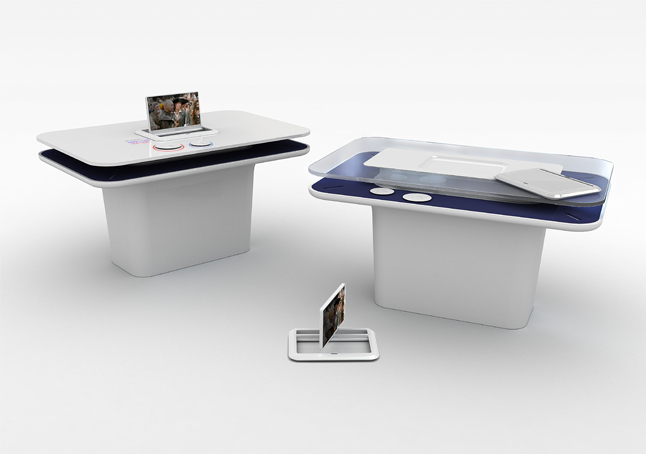 @home Coffee Table: @home coffee table integrates smartphone, laptop, memory stick, external harddrive, remote controls, cameras and more within its niche spaces. 12 Unusual Golf Carts and Creative Golf Cart Designs. Creative and Cool Ways to Reuse Old T-Shirts - Part 3. 20 Modern Graters and Innovative Cheese Grater Designs. 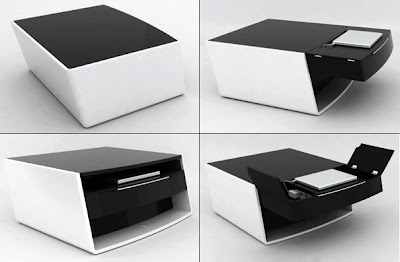 15 Cool Staplers and Creative Stapler Designs. 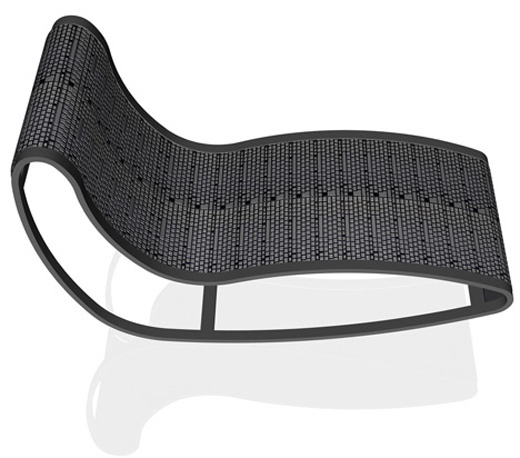 15 Cool Water Powered Designs and Gadgets. 25 Cool Ways to Reuse Old Tires - Part 3. 15 Cool Waterproof Gadgets and Products - Part 3. 15 Creative Bee Inspired Products and Designs. 15 Creative and Cool Sugar and Creamer Sets. 15 Creative and Cool Grill Tools for your BBQ.